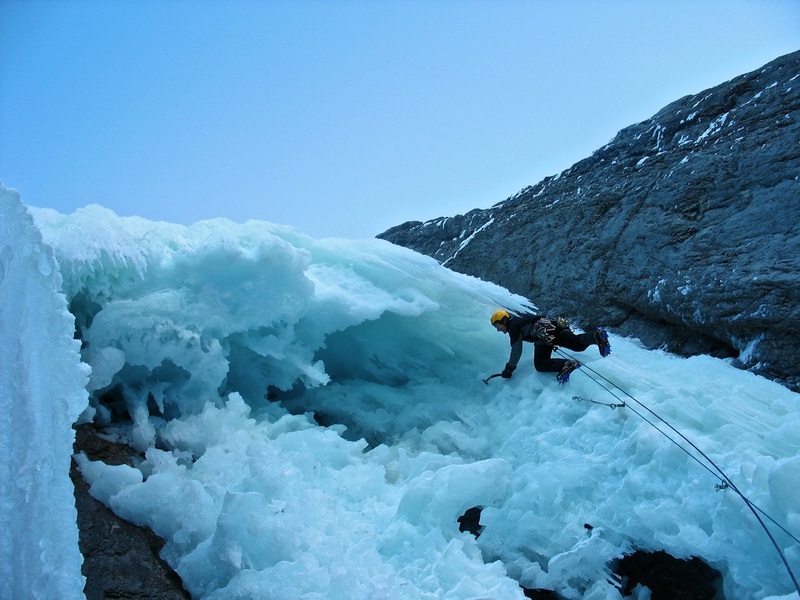 With routes involving nearly a kilometer of undulating waterfall ice next to the road, it's no wonder why Canada is considered the ice climbing mecca of the world. Kananaskis is no exception either. Here you'll find numerous routes that are in condition for over half the year. After flipping through route names like, "There's a skeleton buried in my driveway", "Fleas for Fluffy" and "Nutritious delicious little fishes", you will soon realize that ice climbers, are not exactly stable. Then again, neither is the ice. Kananaskis normally has less snow, extreme temperature changes, and more wind then the neighboring mountain ranges. This often results in an unstable snowpack with high avalanche danger. Always be aware of slope angle and overhead snow load. Visit the Kananaskis Avalanche Forecast for the latest Avalanche Conditions. Waterfall ice is hidden throughout the gulleys and canyons. Spend days wandering aimlessly or pick up a guidebook and find out which valleys hold ice. Whether your new to ice climbing and want to learn how, or you've dropped too much ice on your partner and he is refusing to climb with you anymore. Join a group and meet like minded individuals that will get you out there.